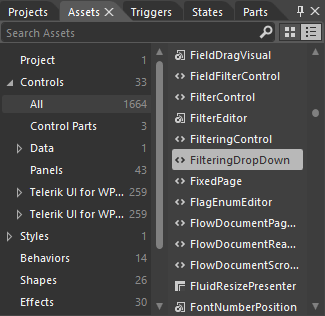 For the purposes of this article, we will modify RadGridView's FilteringDropDown element, but the steps described can be applied to every control. This article shows how to modify styles using Blend for Visual Studio 2012, but the approach should be similar with different versions of the program. The first option to create the needed style is to right-click on your instance of RadGridView and from the context menu select Edit Additional Templates -> Desired Style -> Edit a Copy. 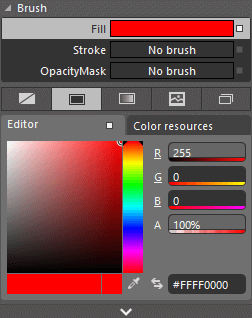 You can then procede to the Create Style Resource section. If you cannot find the desired style from the list of additional styles, you will first need to create a dummy control in Blend. To do so, open the UserControl that hosts your RadGridView in Expression Blend and locate the desired control in the Assets tab. 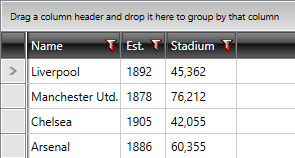 In our case, we can find the FilteringDropDown under Controls -> All -> FilteringDropDown. 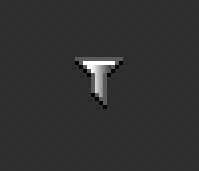 You can then double-click or draw to place a dummy control of the selected type on the scene. 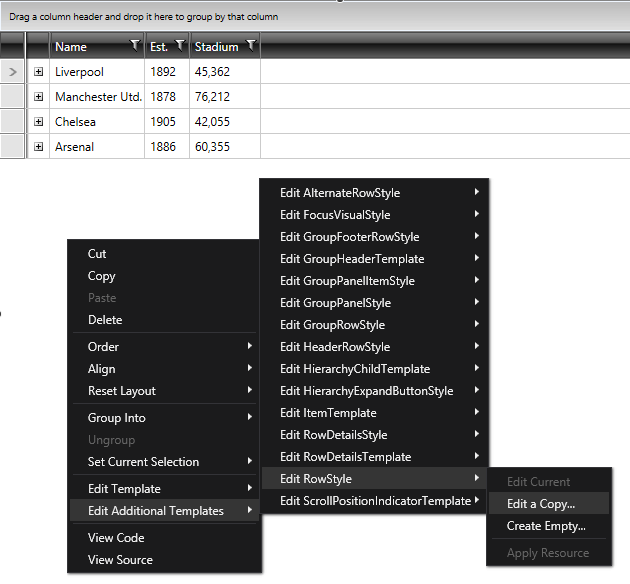 Right-click on the created dummy control and select Edit Template -> Edit a Copy. 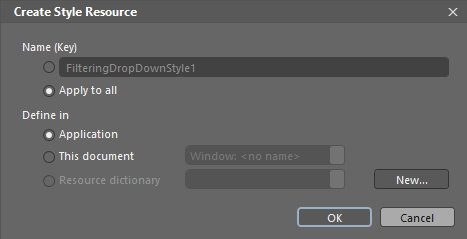 The Create Style Resource dialog will prompt you for the name of the style and where to place it within your application. For this example, we will choose to apply this style to all FilteringDropDown controls and place it in our App.xaml file. If you choose to define the style in the resources of the application, it would be available for the entire application. This allows you to define a style only once and then reuse it where needed. After clicking OK, the default style of the control will be created in the selected location. If you prefer, you can modify it directly from XAML by right-clicking in the scene and choosing View Source from the context menu. The other options is to modify it in Blend as we will do now. Please bear in mind that the control template may be different in the different themes. This example modifies the OfficeBlack theme. Note that when changing a Control Template you should include all required parts. Even if your code compiles, some of the functionality may be impacted due to the omission of the required parts. The required parts are usually marked with the prefix "PART_". 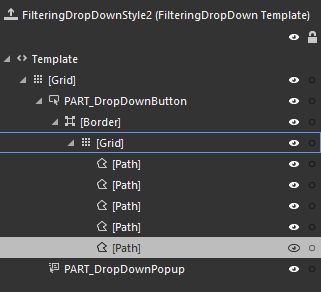 To change the funneling icon's border, for example, let's select the Path control responsible for the border of the FilteringDropDown from the Objects and Timeline pane and set its Fill to Red. 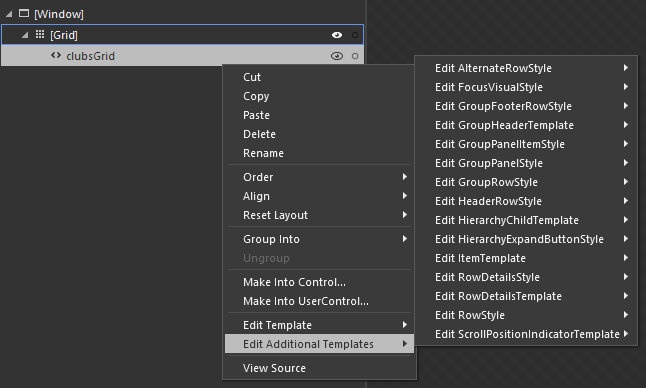 You could also modify the default style of a control by using the Design view of Visual Studio similarly to using Blend. If you prefer, you can manually extract the needed style from the respective XAML file in the Themes.Implicit folder of your UI for WPF installation and modify its code to suit your needs. The process is similar to manually extracting the Control Template of a given control.